For the past two days I’ve been birding around the Gwangjuho Lake area, primarily at the Eco-Park of the same name. I’ve observed 49 different species over the two days, with some notable and unexpected sightings. Although the water is slightly lower than usual, and patches along the shore are covered in thin ice, waterfowl are plentiful on Gwangjuho Lake. Typical species like Eurasian Teal, Common Merganser, Common Pochard, Tufted Duck, Falcated Duck, and a large concentration of Mallard. Two Baikal Teal drakes remain on the lake, hidden among the teal. Raptors are never plentiful at the Eco-Park, but I’ve observed Eastern Buzzard consistently; one on the 12th, two on the 13th. A surprise sighting of an adult White-tailed Eagle on the 12th was a new species for me at this location. 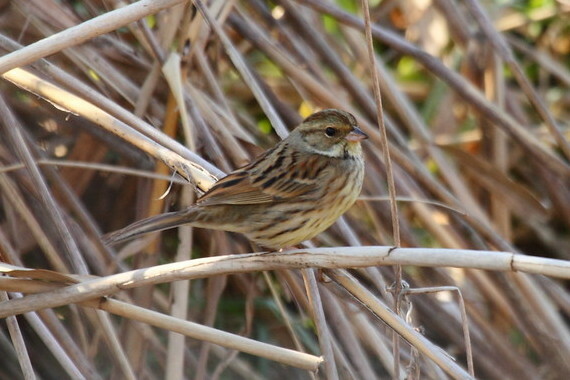 The Eco-Park is host to many passerines at this time of year, specifically finches and buntings. Bramblings make up the most common finches at the Eco-Park, but the occasional Grey-capped Greenfinch can also be found. I have not seen any Chinese Grosbeaks yet, although this species is a regular occurrence here in winter. 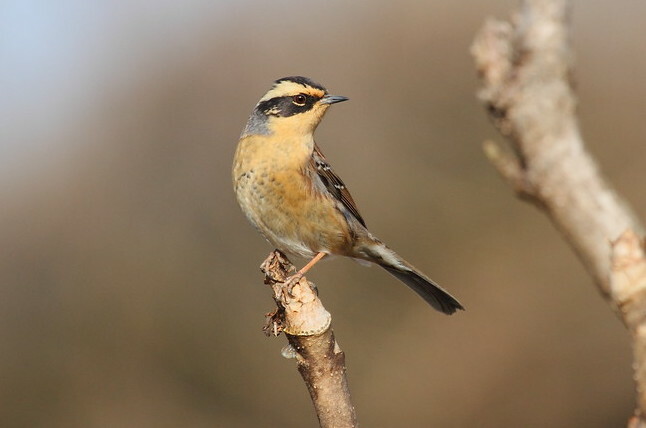 The most common buntings are Yellow-throated Bunting, followed closely by Rustic Bunting. Black-faced Bunting is regular (1 sighted on both days); a single Meadow Bunting made for an unusual sighting on the 13th. 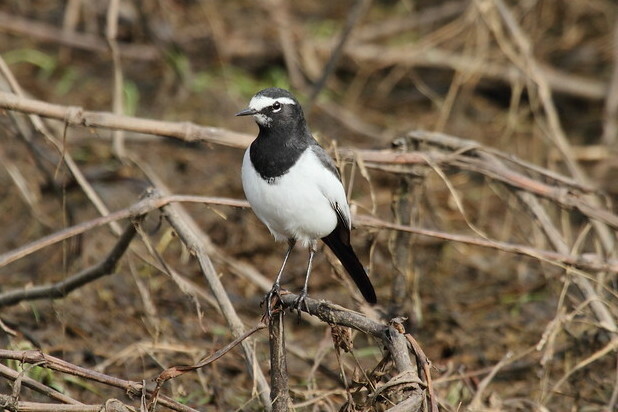 White Wagtail (both lugens and leucopsis) was seen on both days, as were numerous Buff-bellied Pipits. A resident Grey Wagtail was seen on both days, and a single Japanese Wagtail on the 13th. Shorebirds were observed on the 13th, including eight Long-billed Plovers, six Common Snipe, and a flyover Green Sandpiper. Finally, two notable sightings occurred on both days. On the 12th, the “Bird of the Day” was a Bluethroat observed skulking among the dead vegetation on the exposed lake bed. 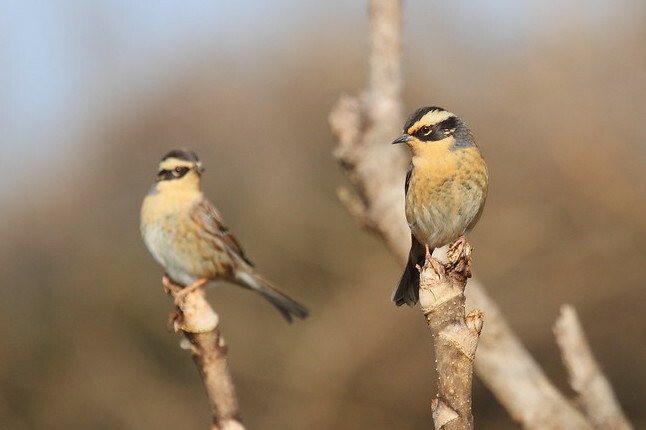 On the 13th, five Siberian Accentors were observed foraging together, a high number for this location.